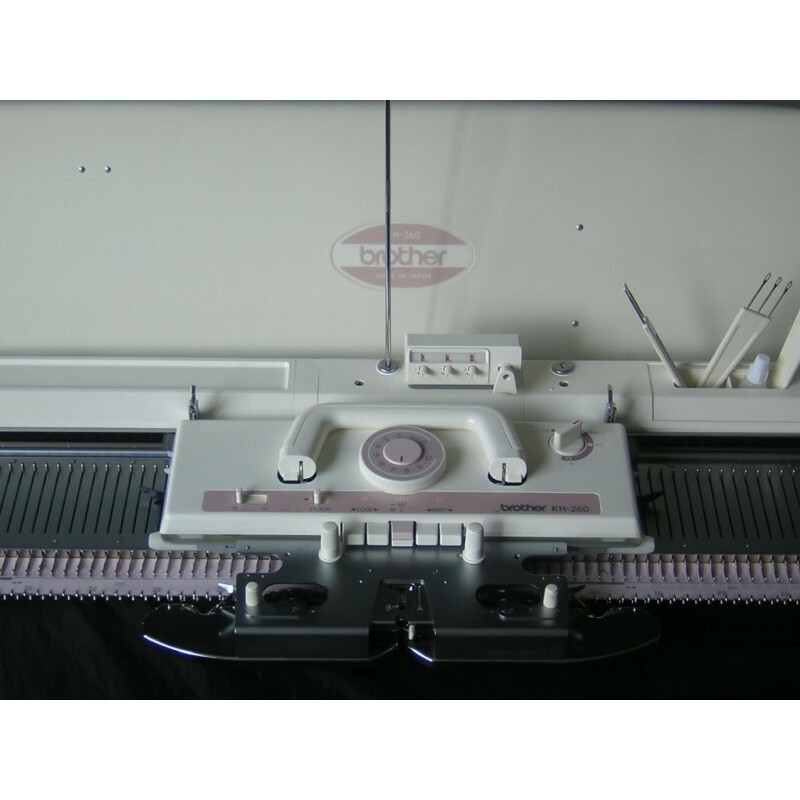 Punchcard chunky knitting machine Brother KH 260 (3 class). Complete with instruction manual, tools, punchcards. Knitting technique: fairisle, tuck stitch, skip stitch, lace, weaving. In very good clean working order.